Decorating for the holidays is fun, and bringing the festive spirit to the office can build an enjoyable environment in which to work. It’s not fun, however to get a visit from the fire department. Here are some tips to keep the holiday spirit alive in your place of business. 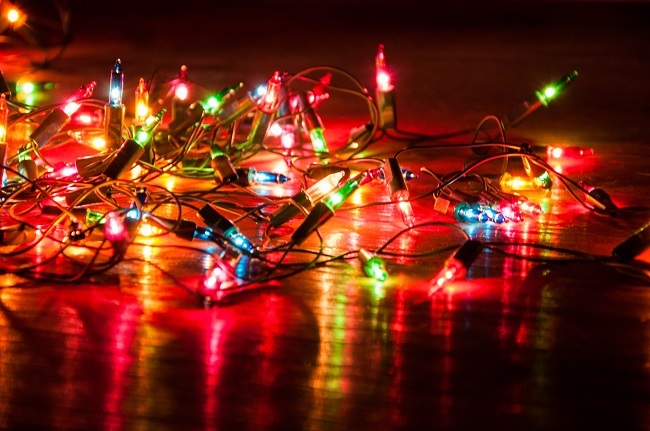 Check your holiday lights for fraying and other damage. Only up to three sets of lights should be used for each extension cord. Keep your lights and extension cords along the walls, so people don’t trip over them. Place decorative candles where they will not fall or be knocked over. Consider decorating with LED lights that use at least 75 percent less energy and last longer. Turn off all holiday lights before you leave the office for the day. The lights could short out and cause a fire. If you purchase an artificial tree, look for the “fire resistant” label – This doesn’t prevent it from catching fire, but it will resist burning and should extinguish quickly. Spray cans of artificial snow– It looks cool, especially in those areas that don’t naturally snow, but it can irritate your lungs and be detrimental to your health. Decorations that resemble candy that may tempt an animal or child to eat. Electric lights on a metallic tree – The tree may become charged with electricity and electrocute someone nearby. Trees that appear dry – Test the branches and needles before buying to ensure it’s fresh. Placing a tree or any flammable decorations near a heater unit, or in the middle of a room that can cause an obstructed escape for you during an emergency.